Contemporary scientists think that life was pretty good for the Ancient Ones, especially during this second period. 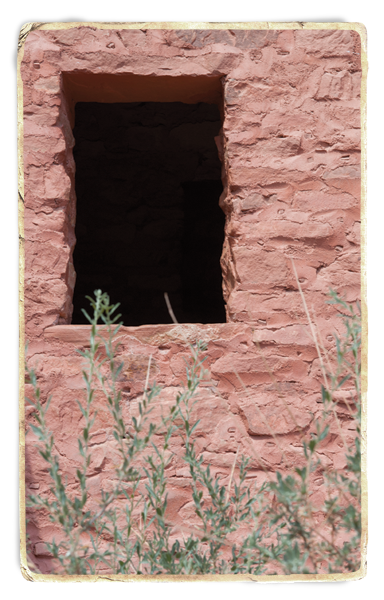 Why, then, did they end up abandoning their magnificent architecture and permanent homes to migrate hundreds of miles and seemingly lose their cultural identities in Hopiland, Zuni and the pueblos of the Upper Río Grande? In addition to the drought and marauding enemy theories, scientists suggest that things like poor sanitation, pests, and environmental degradation may have caused the Anasazi to move. If those other explanations require more of a stretch of imagination, there is yet another to ponder: the Anasazi communities may have gotten bigger than the culture could handle. The internal stress and strife, along with the external factors might have just made life too uncomfortable. Oral histories of the Hopi, Zuni and Pueblo peoples as well as scientific findings suggest that the exodus from places like Chaco and Mesa Verde may have been family by family or clan by clan, and may have occurred over a hundred years.